At least 15 people have died in wildfires that raged for much of the weekend in more than twenty villages and towns in Russia. More than 70 people suffered burns or smoke inhalation as the grassland fires raged through the remote Siberian republic of Khakassia. Eleven people are said to be in a serious condition. The blazes spread quickly because of strong winds which hampered efforts by the Russian emergency ministry to control the fires. Several towns were completely devastated after becoming engulfed in flames. 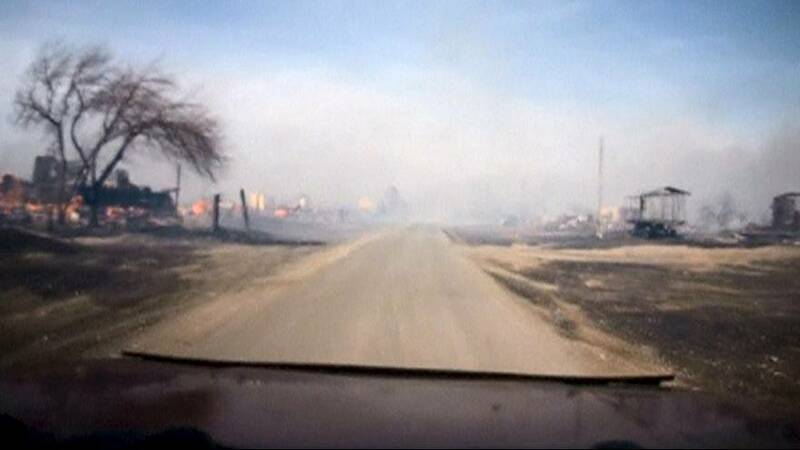 14 hours were spent fighting fires in Khakassia. Now the fires have stopped. The emergency ministry said one thousand fire fighters were deployed along with two planes and a helicopter. The fires have now been extinguished.